More Pokemon trio weirdness! I kinda got attached to this weird bug-catcher character while drawing; the idea of a very mediocre kid Pokemon trainer is appealing to me. 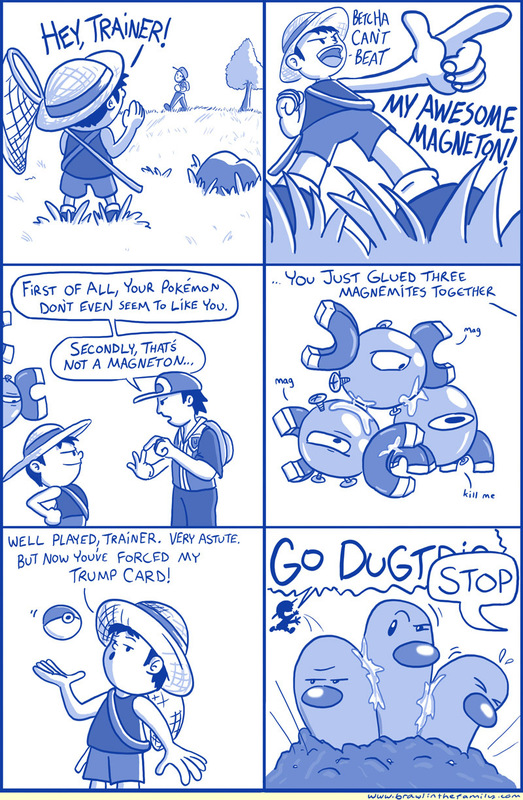 I think I came to a revelation with Pokemon sometime last year–there’s a wide variety of comic ideas in that world and characters. So sometimes I come up with several at once, like this week’s pair!